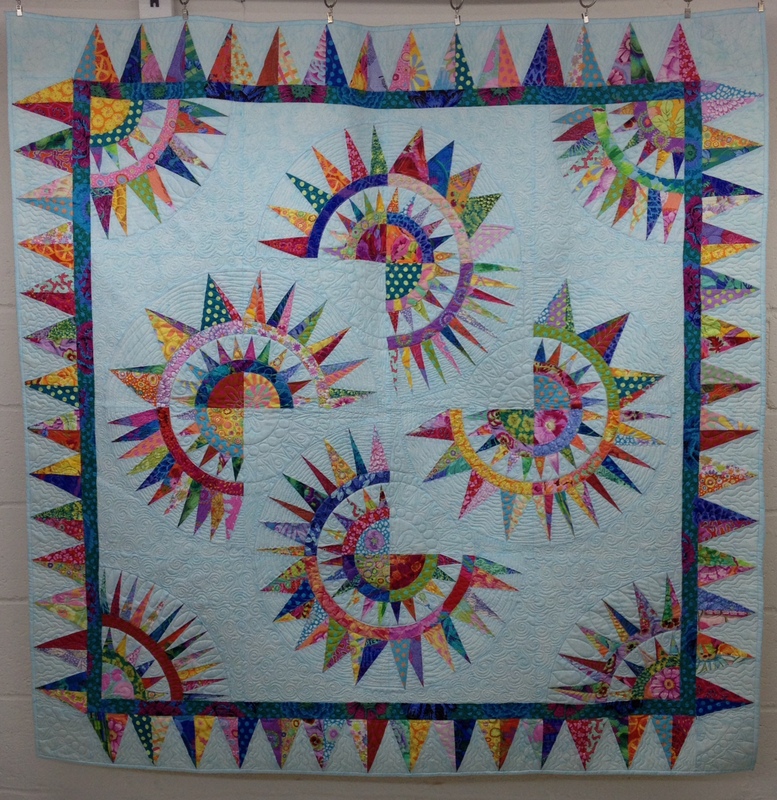 Have you seen t he fabulous new quilts made by Liza Lucy and Kim McLean? We saw these two fabulous quilts at Quilt Market in October and fell in love! We are so excited to be hosting a stitch-along focusing on making versions of these two great quilts, in 2016. 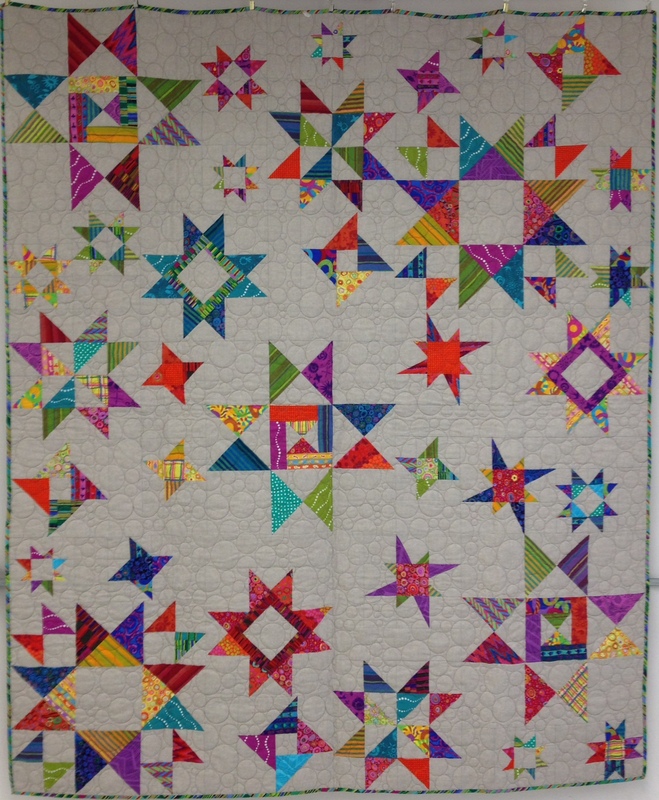 Next year’s handwork BOM at Intown Quilters will be one of our favorite quilts from Fall Quilt Market: Glorious Hexagons! 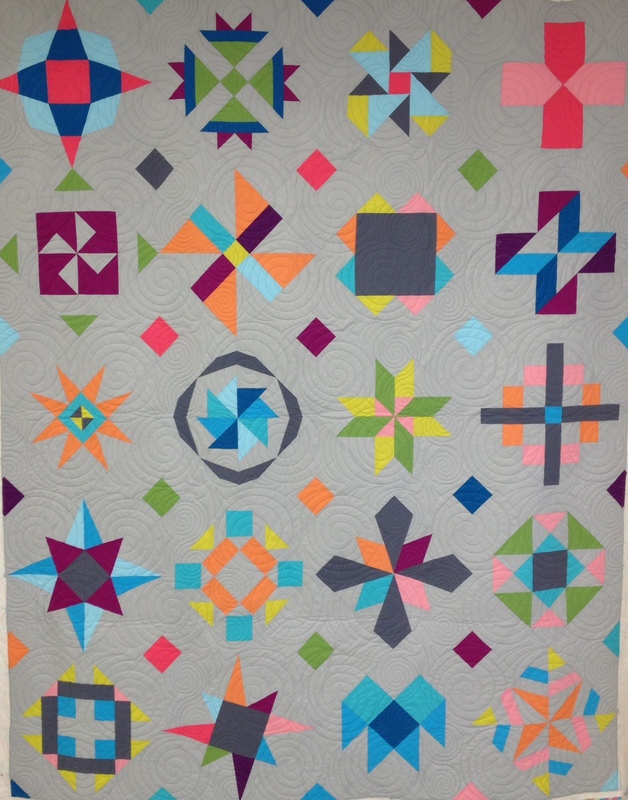 Liza Prior Lucy and Kim McLean used Katja Marek’s The New Hexagon (the basis of our 2015 Hexy BOM), along with some blocks of their own design with the stunning fabrics from the Kaffe Fassett Collective. We love the idea of hand-work to keep us busy while waiting at appointments, sitting on the sidelines at kids’ practices, watching TV with our families and even riding in the car on a road trip. Sometimes it is nice just to get back to working slowly and relishing in the fabric and the process, rather than rushing through a quilt to get it done. Our Glorious Hexagons Club kicks off the first Saturday in February 2016. 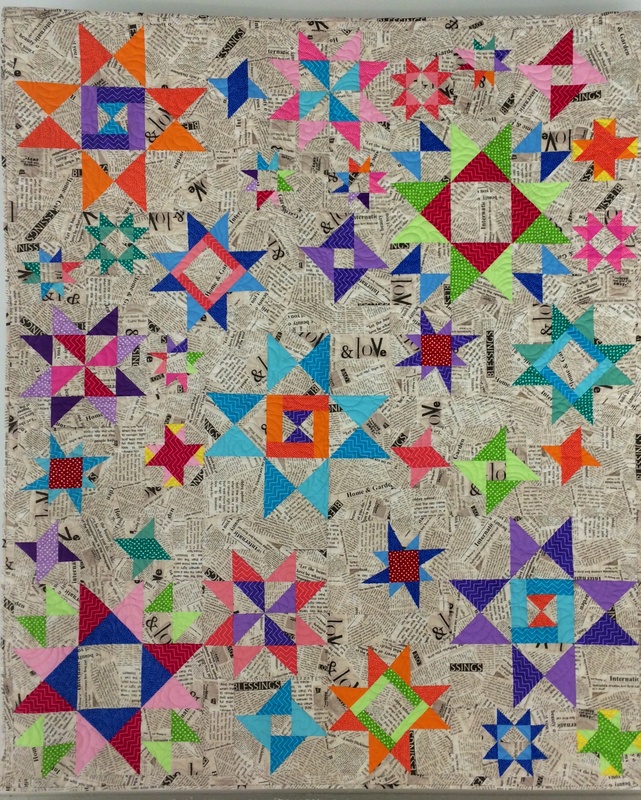 Join Mary Lou Mojonnier at Intown Quilters for a monthly stitch-along to create your version of these quilts using The New Hexagon and a booklet from Liza and Kim. Your Glorious Hexagons Club membership includes the supplemental booklet by Liza and Kim, monthly meeting time with Mary Lou and a 3″ acrylic hexagon template, as well as EPP papers each month, cut specifically for these stunning quilts from Paper Pieces. We’ve set up a monthly subscription through PayPal (PayPal account required); just click here to sign up. IQ’s Glorious Hexagon’s Club is $25.50 for the first month and $18.50/month for the remaining 11 months. If you prefer to not use the paypal monthly subscription system, you can pay for the full year all at once in the shop or on the phone. I can’t wait to get started making mine!